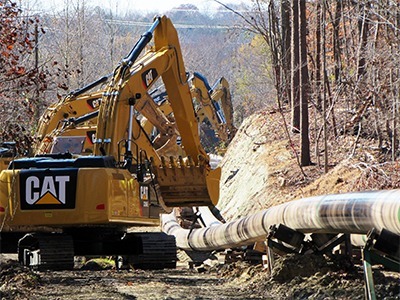 Mid-Ohio Pipeline Services has been constructing natural gas pipelines for 40 years and has significant operations in transmission and distribution natural gas pipeline construction with openings for heavy equipment operator jobs. Experienced heavy equipment operators who can safely and efficiently operate excavators, dozers, Marookas, sidebooms, winch hands and off road Army trucks should apply. Excavator operator jobs require you to be comfortable ditching and backfilling on steep terrain including sideslopes and have experience with vacuum lifters, shaker buckets, hammers, etc. Dozer operators jobs need experience stripping topsoil, grading ROW, two toning, backfilling and final grading. Heavy equipment operators who want to be a valued as a part of a team within a rapidly growing company in this exciting field are encouraged to apply for our heavy equipment operator jobs by clicking here!